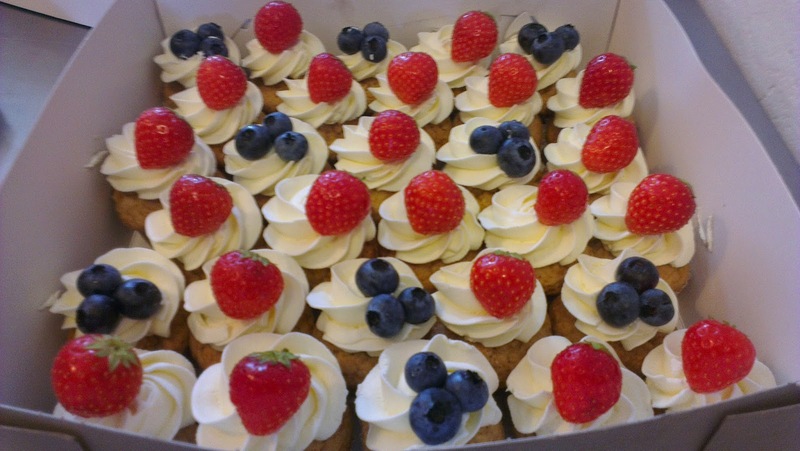 Honey cakes with cream cheese frosting and fresh fruit! The perfect thing to bring to a school or creche! Less sugar and very little white sugar... SCHOOL FRIENDLY birthday treats!